Best of Houzz nine times! 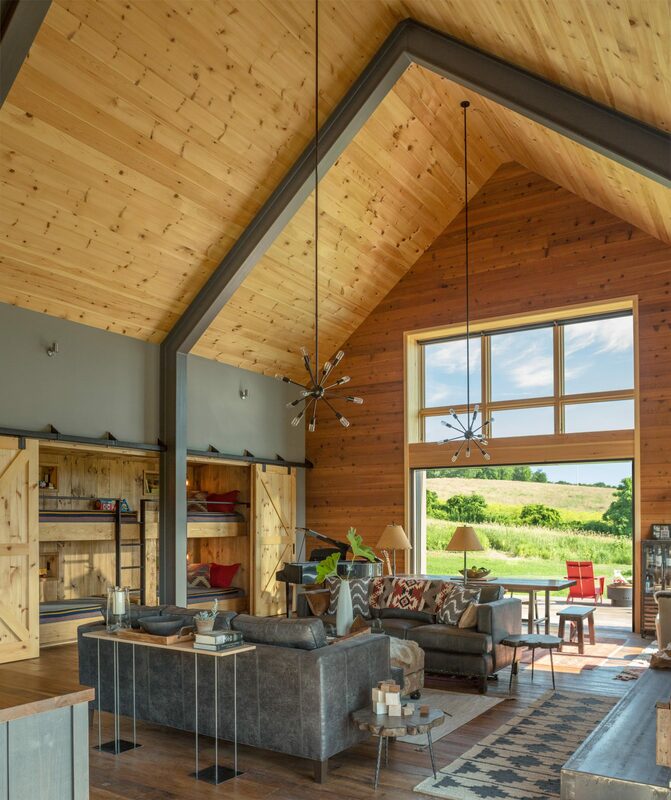 The recently completed Mountain Cabin in Waitsfield, Vermont was featured in Fine Homebuilding’s Design Blog – Through the Lens. Photo and text by Susan Teare. Located on a west facing knoll overlooking a local valley, this two bedroom and two bathroom home provides compact living on one level. Bifold glass doors positioned on the southwest corner open wide to provide access to a deck and the outdoors. The exterior siding and window trim is rough sawn western red cedar with a stained finish. The windows are Marvin clad – their color is Ebony. The home is low maintenance, energy efficient and cozy with a standing seam metal roof. I couldn’t wait to go inside after shooting the exterior to warm up by the woodstove!